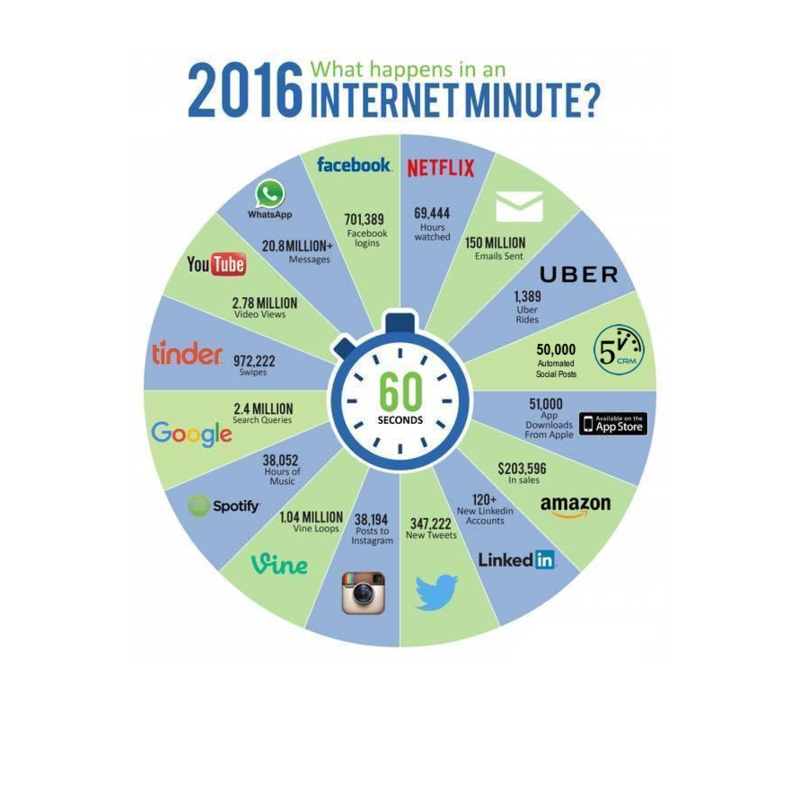 A lot happens online in each minute of everyday. This tremendous storm of content is being consumed by millions everyday at an unsustainable content growth rate. Moz and Buzzsumo shows that the majority of content marketing has limited impact with 75% of blog posts they analysed getting fewer than 10 social shares and zero links from other domains. This presents a substantial hurdle for online marketing professionals seeking to promote and build branding through social venues. Online best practices in social engagement just a few years ago are applicable today. This entry was posted in Automated Information, Digital Strategy, Marketing Strategy, Social Media and tagged 5Minute, ailign, digital content, online marketing. Bookmark the permalink.